Here are some of mine..Hope the link works. yeah that link worked and those are some GREAT shots. I would love to figure out how to get shots like that with my camera... but I doubt I will. Are those the L-114/600 you got from Spence? Those are from Spencer..whats you thought ? 114 or 600 ? I am not sure. You say they are small I thought they looed to be a good 5.5''-6'' at least. They look great. I am 100% sure the one I bought from him is an L-600 I have to get some pics of it. Did you put these ones in a phtot tank or whatever they call it? If so what size tank and what has to be done to it? My buddy is a photographer and said he will come by and take some shots for me but I dont know what needs to be done. My fish are so hard to see I was thiking of setting up a tank just for pics. I thought atleast 2 were 600. These guys put on atleast 1-2" since i picked them up. 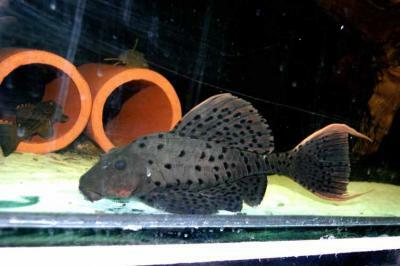 I am trying to super-feed them and they seem to be reacting well to it...The fins are almost grown back. I remembered they pretty much all torned and messed up when i picked them up. For pics. I tried this custom made photo tank out of acrylic and I find that the fish calm down a bit quicker as it black pretty much on all sides. But, i think a 5 or 10 gallon tank would work for that purpose. 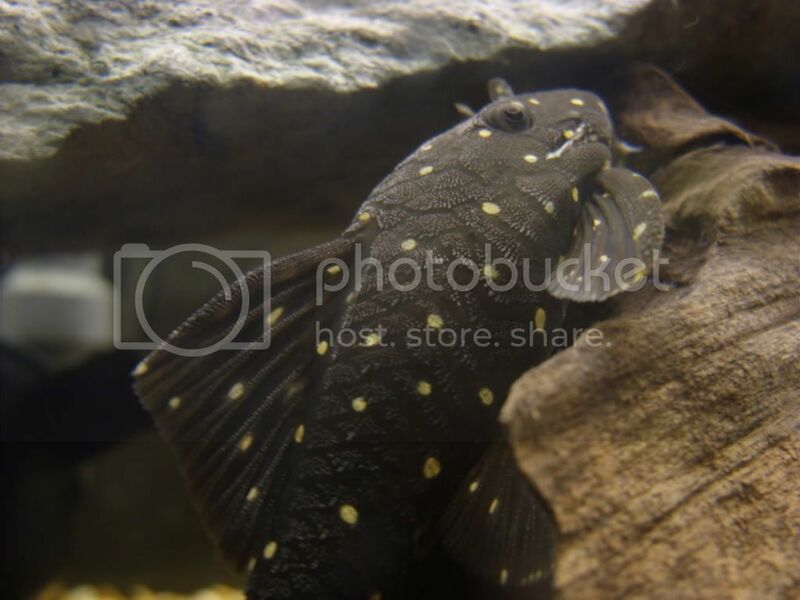 Sweet looking pleco !!! Love the fine details of fish in the shot. Wow, some great photos guys! Keep them coming. what type of camera/settings are people using to get such nice pics? Mine were shot with a Nikon D5000 with the 28-55 kit lens using the P mode and ISO 1600- 2500, no flash. hehee. I wasn't able to see your fish initially from my iPhone. All I saw was the L91 on the CP logo:) Guess some variants have more colouration covering the whole dorsal/tail fins. Unfortunately, we don't see them special L91's imported to Canada. One of my many favorites is a L095 / Orange cheek measuring at approx. 13". 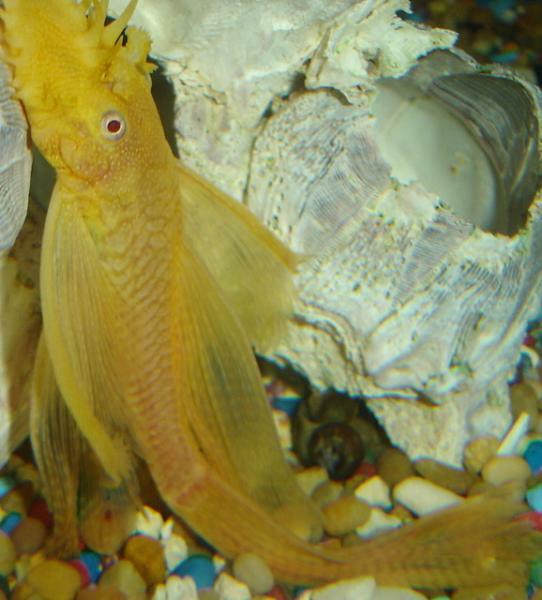 Very graceful and gentle around other plecos. Will also come out to eat in front of you. Oops....put it in the wrong place. Nice fish though.